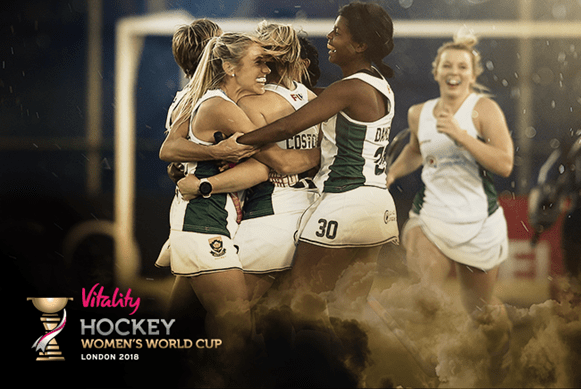 African women champions South Africa have announced their 18-player squad for the Vitality Hockey Women’s World Cup London 2018. Sheldon Rostron’s squad, who qualified for the World Cup as African continental champions, features a blend of some superb youngsters coupled with experienced campaigners. One of the notable names missing is Ilse Davids, who announced her retirement recently, while SA Player of the year for 2016, Celia Evans, misses out through knee injury. Shelley Jones and Dirkie Chamberlain will be key to South Africa’s approach at the World Cup as they take part in their fourth World Cups. Dynamic duo Lisa-Marie Deetlefs and Sulette Damons will take part in their third, while Nicolene Terblanche returns for her second after featuring at the Hague in 2014. Their collective experience will be key to a South African side featuring some incredible youngsters. There is a return to the squad for Tarryn Glasby and Lilian du Plessis (her second World Cup as well) who missed out on the Commonwealth Games, adding much needed threat in front of goal to the explosive talent of Candice Manuel. While the experienced trio of Erin Hunter, Nicole Walraven and Kara Botes will be joined in defence by the exciting Simone Gouws, who was the Junior Player of the Tournament at the recently completed Inter-Provincial Tournament (IPT). Kristen Paton and Ongi Mali, often spoken of as the future of South African Hockey, will now be a very active part of the present. The team is completed by the Western Province duo Quanita Bobbs and Jade Mayne, who will look to continue their fine form in the green and gold when arriving in London. South Africa will take part in Group C facing off against Germany (FIH Hero World Ranking: 6) on 21 July, Spain (WR: 11) on 26 July and Argentina (WR: 3) on 28 July.